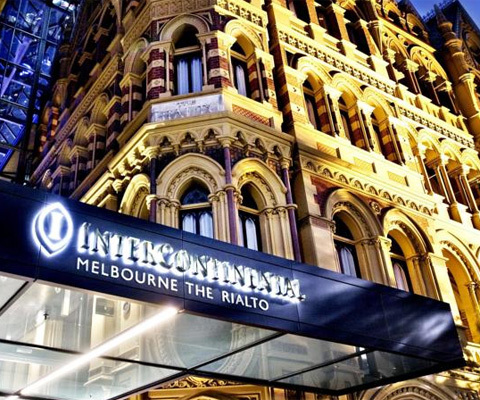 This week, more than 100 homeless people in Australia were treated to a luxurious dining experience at a 5* hotel in Melbourne, thanks to the kindness of a consulting and leadership development company. The Langley Group was due to hold a lunch at the Intercontinental hotel in Melbourne but had to cancel it without the option of a refund after there weren’t enough paying customers. Instead of the meals at The Rialto restaurant (within the hotel) going to waste, the company made some arrangements so that all the meals that should have been served at their event could instead be donated to homeless people in the city. Young people and asylum seekers from charities like St Mary’s House of Welcome, Melbourne City Mission and Brigidine Asylum Seekers Project were able to enjoy the luxury food on Wednesday. Not only is this brilliant PR for the Langley Group, but also for the InterContinental Hotel for making it all possible. News of the kind gesture has spread far and wide; it’s on the Metro and Mail over here and scores of Australian titles. 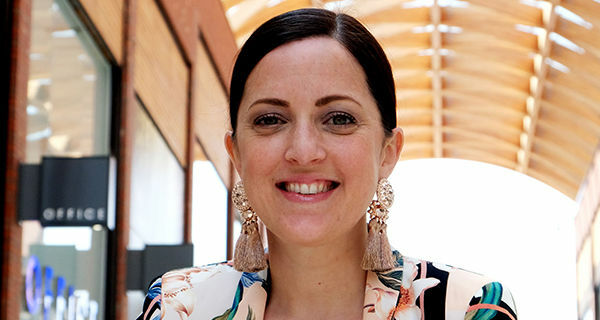 Lots of worthy charities have also been given a boost in exposure from this feel good story, which will hopefully lead to a surge in donations or help from the public for them too. If only all news was good news like this, hey? China Eastern Airlines and Tianhe International Airport in the Hubei Province have both received some bad press this week, after a passenger told his story of what happened to his pet dog that was travelling with him. 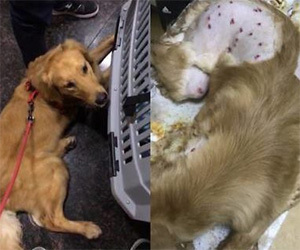 The 23-year-old owner of the Golden Retriever was flying from Shanghai, but the dog allegedly escaped from its cage and the cargo hold on landing; resulting in eight members of staff taking 40 minutes to capture the pooch. When the dog was returned to the owner, the poor thing looked as though it had been beaten badly and the owner is now accusing the airport staff of using ‘excessive force’ with his dog. Airport staff responded by saving that they used emergency response measures in accordance with aviation laws to restrain the animal and that they prevented the dog from running loose on runways or in car parks which could’ve resulted in injuries. Still, the owner’s comments about his Golden Retriever’s manhandling have been shared more than 100,000 times at the time of writing this and people are understandably annoyed at the airport staff. The pictures from the vet check-up the dog had after its ordeal look pretty horrendous with multiple abdominal and eye injuries. I first spotted the story on the Metro website, but see that the coverage of it in China has gone national.